The StartUP! Business Plan Competition is a signature program of QEDC. The mission of the program is to make entrepreneurship more accessible in Queens. We focus on providing entrepreneurship education, one-on-one start-up assistance, mentoring and access to capital. 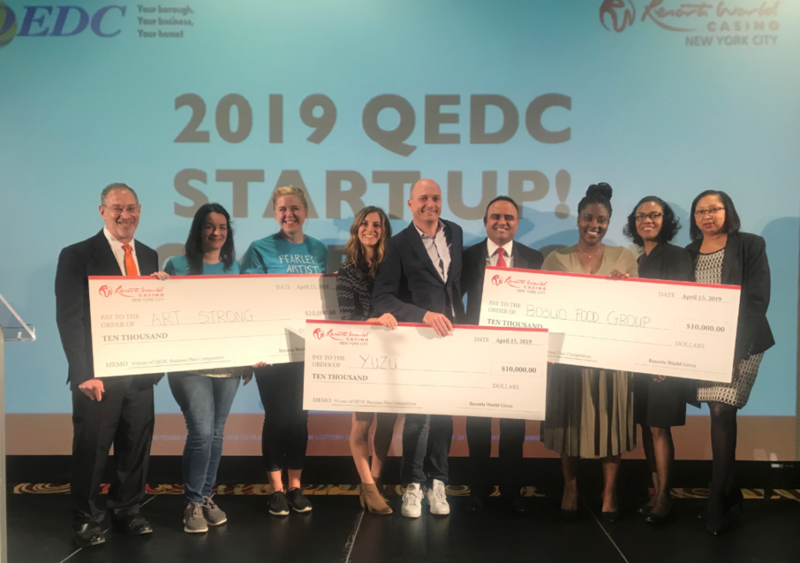 We aim to help and empower the startup phase businesses to grow in a way that will create jobs, strengthen and diversify neighborhoods in the borough of Queens. The 2019 StartUP is about to begin! The first step you can take is to sign up for one of our orientation sessions held at libraries through Queens so you can learn how you can compete. Click the link for each session to RSVP and get the address. Congratulations to our three 2019 winners! We had a large number of great contestants this year, and we hope everyone was able to make progress on their businesses. A business either physically active in Queens or a virtual community that’s serving all around the world with no limitation on location as long as the business is registered in Queens. A business delivers a need or responds to a demand of the community. The need or demand being met must create a positive social or environmental impact. A business with its main activity being the creation and/or sale of a food or beverage product as a wholesaler, manufacturer, or retail business. A business creating something new, something better, serving an underserved or new market, creation of a new delivery system or distribution channel, has increased integration, or provides a resolution to a problem.